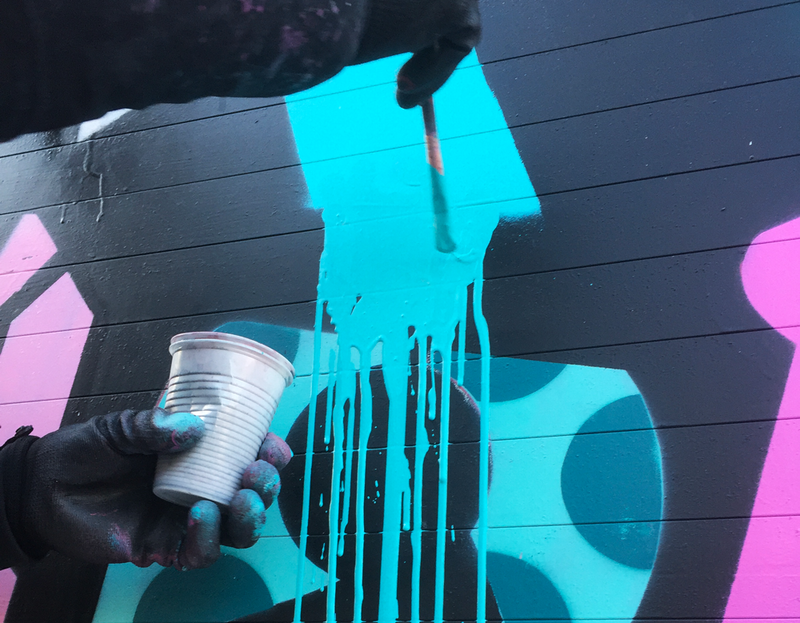 I recently met up with Devon based artist Koeone for a collaboration in East London. 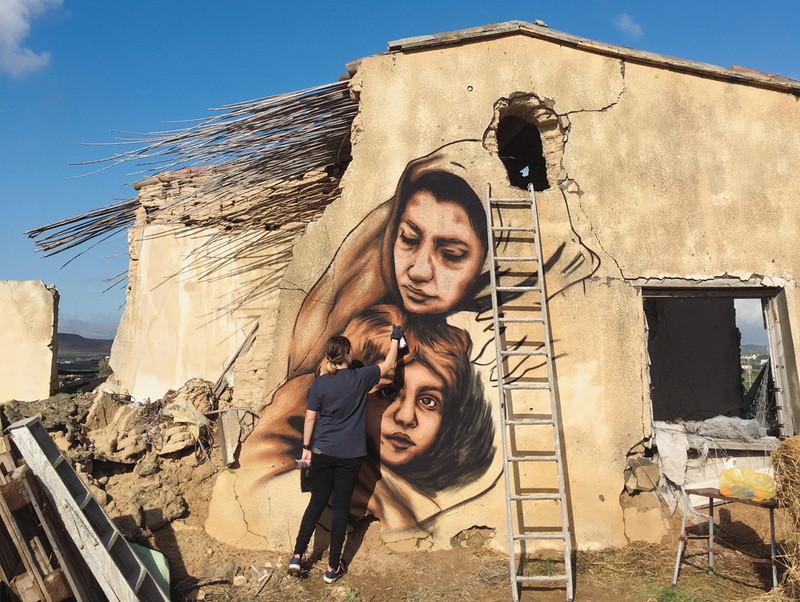 Koeone paints beautiful portraits of women, covering their hair with his tag. For this piece we combined our styles: my grey scale shadings for the face and his colourful letters for the hair. Back in Camden town for the first mural of 2017! The Real Art of Street Art provided me with this wall just off the main high street. 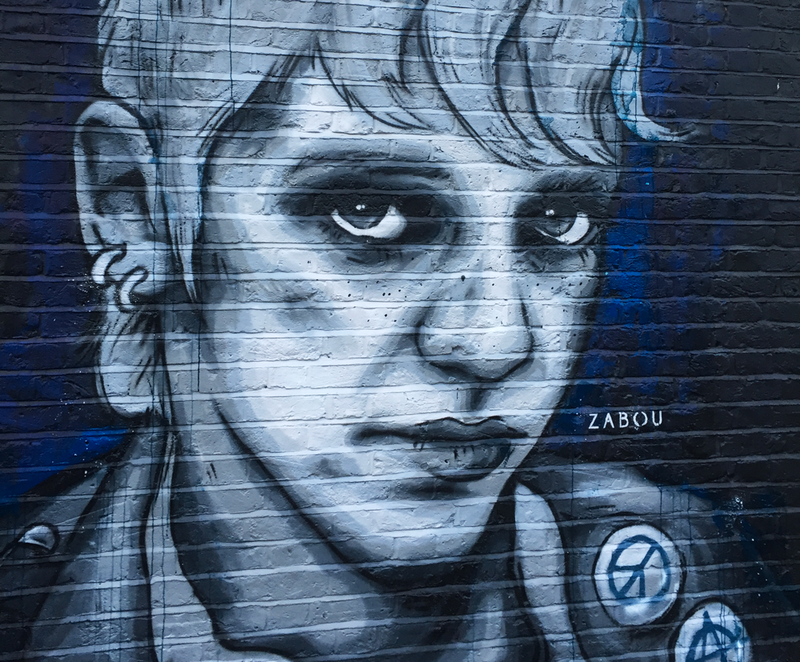 This portrait is inspired by a photo by Derek Ridgers of a punk/skinhead girl in London (1981). 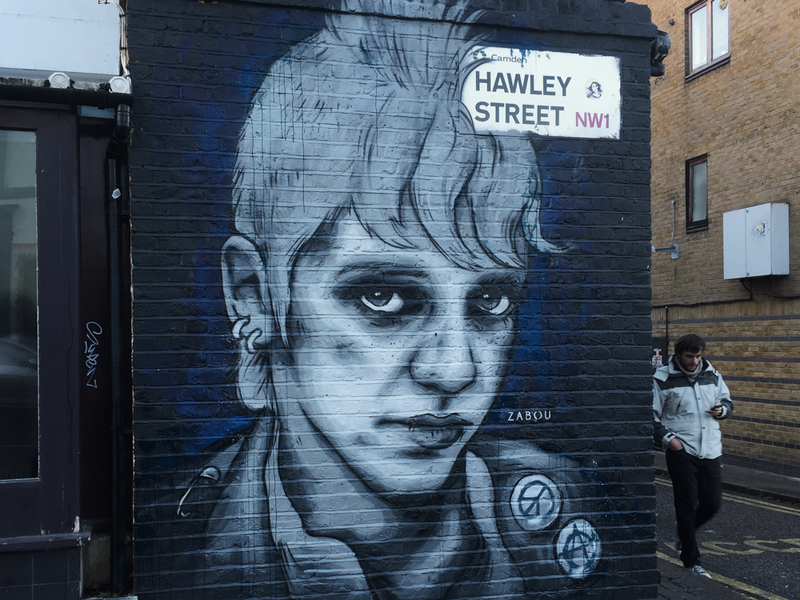 Camden is, historically and still today, home to a large punk and alternative community. The exhibition 50 x 50 II is currently showing in the Prints & Originals Gallery at the Saatchi Gallery until February 2017. The exhibition showcases 50 new works by 50 local and international artists. 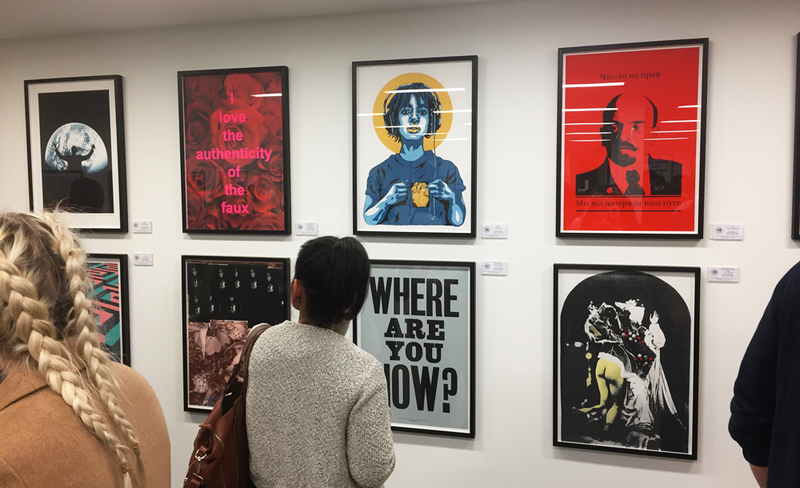 Each edition, produced by Jealous Studio, consists of 36 prints signed and numbered by the artist. Every print has a sheet size of 50cm x 70cm. 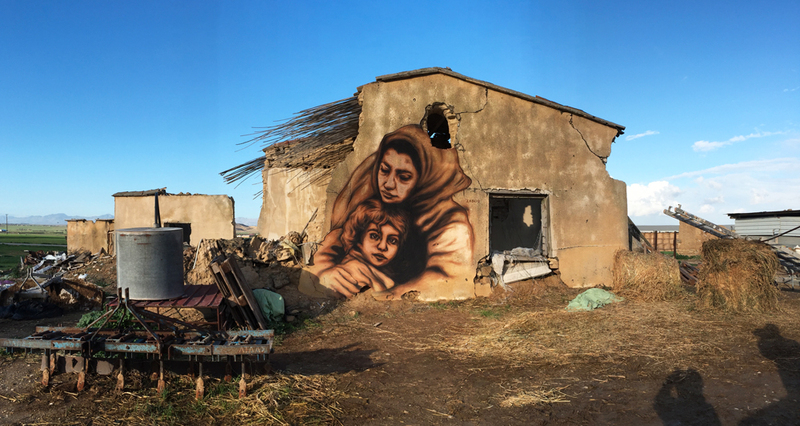 I travelled to Cyprus again for the last few days of 2016 and painted in Petrofani, an abandoned Turk village turned into farms. 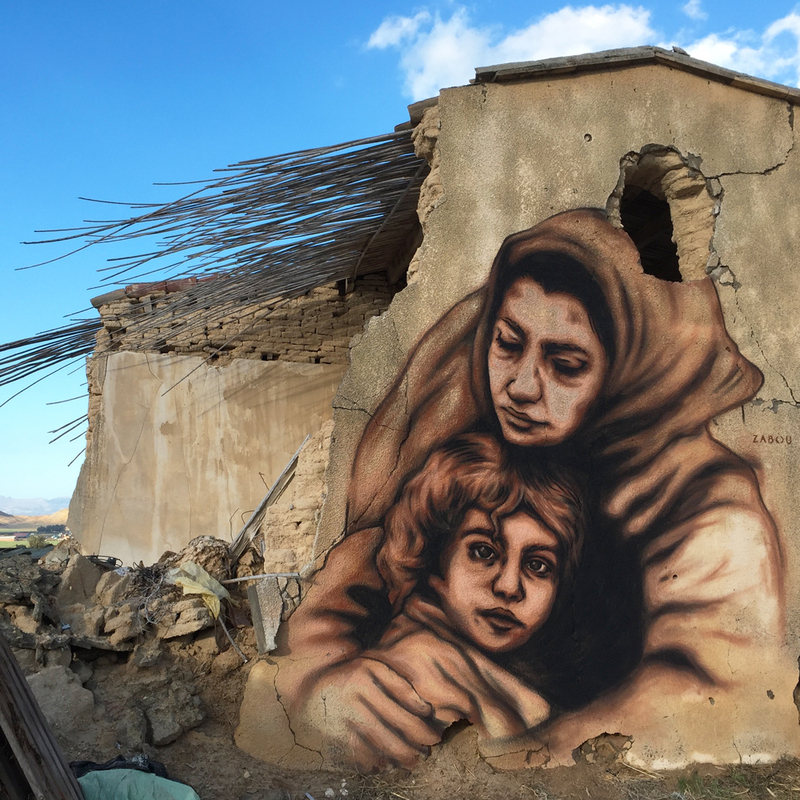 The artwork is based on a photo by L.Gouliamaki of Syrian refugees arriving in Greece. I dedicate this piece to all the people who have lost their home or family this year. May 2017 be kinder!